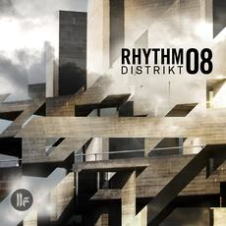 ﻿Kicking off 2015 in an underground style, 'Rhythm Distrikt 08' delivers a big line-up of the some of the best in undiscovered rumbling techno and tech house beats. Featuring a 100% exclusive playlist from some of techno's most underrated newcomers including Christian Cambas, Steve Mulder, Gayle San, Ant Brooks, D-Unity, Irregular Synth, MiniCoolBoyz, Axel Karakasis, Loco & Jam, Raul Mezcolanza, Nikola Gala, Roel Salemink and Gaga. 16 tracks and a full-length DJ mix take you on a journey to the darker side of dance music, delivering a unique collection of underground grooves that should be added to your tune collection.